This week, we’ll be going “old school” with a twist. 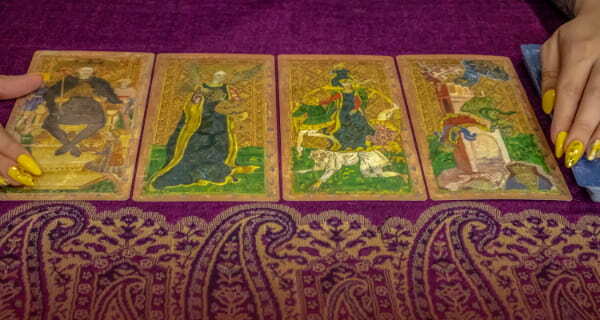 In honor of Back-to-School time, and the end of summer vacation, I’ll be using the Universal Waite, an enhanced version of the original Rider-Waite Tarot. The twist is that we’ll focus on some interpretations by Liz Dean, who has written a stunningly beautiful and inspirational book, “The Ultimate Guide to Tarot.” Dean is a tarot expert, and her book is detailed, clear, and concise. Let’s explore her take on our cards of the week! DAY (THREE OF WANDS). Key Meanings: Action and adventure, growth, and change. This is a card of good fortune. It denotes successful enterprise and seeing your relationships thrive. It’s also a great indicator for weddings and a new, important relationship. 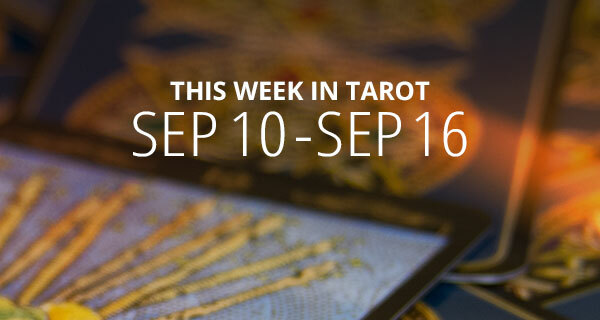 This tarot card can indicate a busy, intense period, with lots of incoming texts, emails, calls, and visitors. EVENING (THE EMPRESS). Key Meaning: Abundance, generosity, and creativity. The Empress tarot card gives a sense of abundance, material comfort, sensuality, and security. Therefore, it’s a good evening for spending time with children and enjoying a time of harmony at home. This tarot card is a card of the mother, becoming a mother, and nurturing yourself and others. Her message is: Life is abundant. DAY( ACE of Wands). Key Meanings: Enterprise, career, travel, and beginnings. This tarot card is auspicious for every aspect of your life. This Ace predicts new beginnings related to work issues and projects, and it gives you a flash of inspiration so you know what to do next. It can also be a phallic symbol of male virility or indicate travel and adventure. EVENING (THE FOOL [reversed]). Key Meanings: Innocence, risk, and new beginnings. Here, the innocence of the Fool can become the Idiot who sabotages his chances, due to acting desperate and irrational. Therefore, it’s good to think carefully before making new agreements at work. You should also hold back from emotional commitments until you are sure of your ground. The reversed Fool can speak without thinking, and say things that can be tactless or even mean. Here, the Fool’s leap is certainly not a wise one. DAY (Eight of Wands). Key Meanings: News and travel. A very positive tarot card, it brings lots of communication, calls, and exciting offers. If you have felt held back or stuck waiting for decisions, you will soon have positive news. All your projects grow wings, swiftly moving them forward. However, you need to be prepared for the shift and don’t feel like you have to say yes to everything. This card can also bring great news about love, and you may be traveling soon to see each other. EVENING (THE STAR [reversed]). Key Meanings: Hope, guidance, inspiration, and creativity. 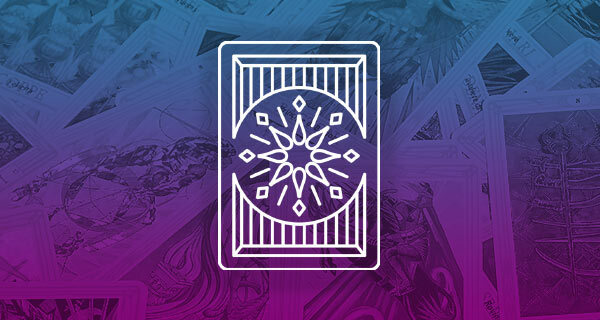 The Star reversed can indicate giving up too easily on your projects and experiencing a creative block. You may be too attached to a fantasy scenario while overlooking the details. Also, you could be tricked into a false sense of security in a venture that has no foundation and little chance of success. Another meaning of this tarot card is about feeling alone right now, and not having the support you need. DAY (TWO Of WANDS). Key Meanings: Plans, partnerships, and influence. This is a day for making plans and moving forward—perhaps making some travel plans. It’s also a good day for work, for gaining influence and proving your worth. There may even be some new creative partnerships. The Two of Wands tarot card indicates that there are two aspects to your situation. EVENING (JUDGEMENT). Key Meanings: Assessment, and letting go of the past. Tonight is a time to come to a decision about the past. A great change has already begun, however, before you go ahead you need to address certain past issues. Another meaning of this tarot card is fame, and being in the public eye. It can also herald a spiritual awakening to further explore your potential. You may need to make a major decision about a property, and your love life will shift into a new phase. More recognition is certainly coming, and your career and finances will also improve. DAY (FIVE of SWORDS). Key Meanings: Upheaval, conflict, and loss. This is a day of family disputes, conflicts with managers, and feeling like you’re a victim of the system. In relationships, there is tension and potential conflict. Overall, this will be a stressful day with challenges to your position, and often, defeat. Yet the message is that all is not lost. You may not win the battle, but you can recover and walk away with your self-respect provided you make a gracious exit at the right time. Regardless of the provocation, you must deal with your anger and disappointment. EVENING (Page of Wands). Key Meanings: Good news and communication. As an influence, the Page of Wands tarot card brings good news about projects and any situation that requires negotiation. Messages, urgent emails, and calls keep you busy and may be demanding. However, the overall atmosphere is one of trust. As a person, the Page is a talkative, entertaining individual who can often be a writer. His wand is his pen which is his way of expressing himself in the world at large. He may be a marketing executive, a salesperson, an actor or a team manager—any role which requires great communication skills. Finally, the Page can indicate a reunion with a friend or old colleague. DAY (FIVE of CUPS) Key Meanings: Loss, leaving, and sorrow. This card can indicate a day of some upset or loss. This can often relate to sadness over a breakup or a disappointment or argument with a close friend. It can also indicate the need to temporarily move away from a family member who has caused hurt. This card can also point to leaving a job or home before you are ready to go. You are being forced to deal with it. While there is no going back, all is not lost! You will be able to move onwards and upwards regardless. The two remaining cups can show the support of friends, family, colleagues, and your favorite psychic! EVENING (PAGE OF CUPS). Key Meaning: Love news. This Page indicates a social evening, good company, and fun. No matter your age, you will feel young at heart. This Page brings good news about the emotional aspects of your life—relationships, children, and finances. Also, this Page can show that a new potential partner is on the horizon. As a person, this Page indicates someone with an artistic temperament who is also a dreamer. She/he loves company and is very intuitive. DAY (THREE OF SWORDS [reversed]). Key Meanings: Sorrow, heartbreak, and pain. Normally, the Three of Swords tarot card can indicate betrayal, affairs, and disloyalty in one’s relationship life. However, the reversed Three of Swords adds arguments and drama to the mix. Yet, in a sense, this reversal gives a more positive meaning than that of the upright card, as feelings are being expressed and some of the confusion and pain is shared and released. 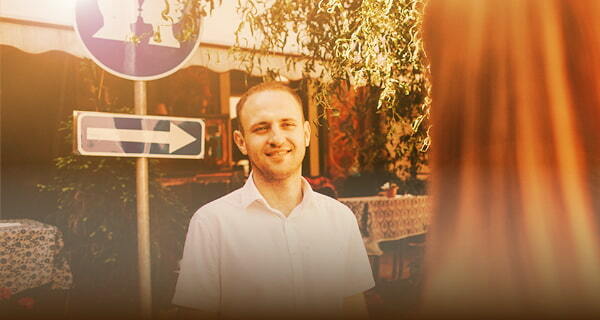 The people around you should understand that you need to vent right now, or you can call California Psychics and get a relationship reading with a love psychic! EVENING (SEVEN OF SWORDS). Key Meanings: Theft and dishonesty. The common name for this card is “The Thief.” The message is to take precautions to protect your belongings and property. Therefore, this is a good night to take care that someone is not taking advantage of you, or challenging you or invading your space (so carry your mace). Don’t fall for charm or schemes! You will certainly need your wits about you to discover the truth. This card can also indicate legal problems or unfair or fraudulent business practices.